The end nears for the morning floating vegetable market. 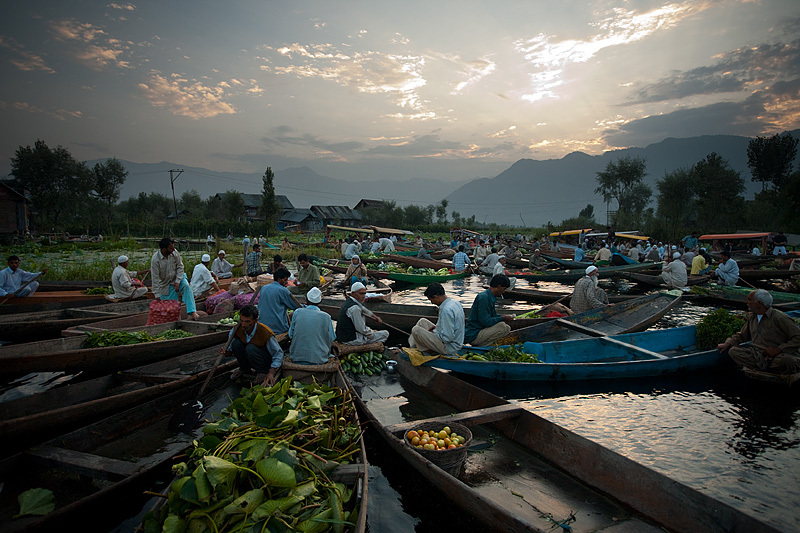 Minutes after this photo was captured, the vegetable mongers floated away leaving an eery sea of calm after a chaotic pre-sunrise spectacle of vegetable hawking. It's another round of archive photos (on the weekends). I'm in frantic scrambling mode at the moment as I've just arrived in Belgium after an arduous 3 days of journeying that included an overnight train, bus, plane, airport sleepover, plane then train to finally arrive in Antwerp (via London). My apologies for the sparse photo showing today. I'm trying to get my bearings in this new city and find food, internet, and other daily necessities while nursing some travel-related illnesses. I have only enough energy to publish one photo due to my jet-lag, flu and general fatigue from traveling such a long duration. On a positive note, it feels amazing to be back in Europe and finally begin inserting delicious fresh baguettes into my gaping maw. Health permitting, photos of Antwerp to begin publishing within a few days, enshallah! Pius, another winner. The light is just amazing, not to mention the scene. Keep up the great work. Get well quick. Just take it easy for a while. You're a long ways from Ko Lipe.